SITAONAIR, Zodiac, digEcor, Spafax and More! There was a lot of interesting news this week, but lets start out with our rectangle story on SITAONAIR and their FlightTracker. ICAO recommendations calling for airlines to report flight positions every 15 minutes became official on Thursday 8 November 2018 – and SITAONAIR is helping multiple airlines around the world meet them, thanks to its cutting-edge AIRCOM FlightTracker. Major airlines including Avianca Brasil, Azul, Norwegian Air Shuttle, Singapore Airlines and Vistara, already use AIRCOM FlightTracker, across more than 250,000 flights a month. In delivering flight precision, enhanced awareness and reinforced safety, FlightTracker enables airlines to unlock greater operational effectiveness in an increasingly congested airspace, to minimize costs and support passenger satisfaction. The International Civil Aviation Organization’s (ICAO) Global Aeronautical Distress Safety System (GADSS) recommendations compel airlines to commit to minimum standards of aircraft tracking, with the aim of improving safety, detection of aircraft in distress, and efficient and effective search and rescue. The ICAO urges operators to report aircraft positions at least once every 15 minutes as of Thursday 8 November 2018, and additional aircraft distress processes will be added from 2021. SITAONAIR has led the way in preparing airlines for this major milestone in aviation safety. Its ground-based, easy-to-implement AIRCOM FlightTracker software system guarantees regular flight position updates, without requiring any new avionics or modifications to aircraft. Gathering data from multiple global sources – including FlightAware’s Firehose data feed – it bridges gaps between air navigation services provider tracking, to offer 100% global flight tracking with position updates at least once-per-minute. The FlightAware feed delivers live aircraft position data from its terrestrial network of ADS-B receivers, as well as from Aireon’s space-based ADS-B network, which, hosted on the Iridium NEXT constellation, is now providing live flight tracking. In incorporating this space-based ADS-B data, SITAONAIR’s enhanced FlightTracker gives airlines the tools to receive the precise position, speed and altitude of their airborne fleet anywhere in the world – even over oceans and polar regions. They are also able to exceed the ICAO 15-minute recommendation, in readiness for 2021’s anticipated one-minute recommendation. Discover SITAONAIR’s AIRCOM FlightTracker by exploring our whitepaper, webinar and videos online. 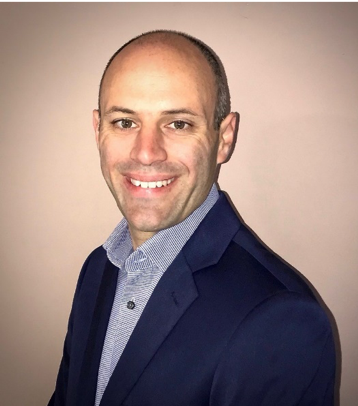 Zodiac Inflight Innovations (Zii) appointed Benjamin Asmar as VP IFE Products and Strategy. In this role, Asmar will lead Zii’s product group to further develop and deploy innovative products and services for its RAVE inflight entertainment system. Ben joins Zii from Virgin Australia Airlines where he held positions leading the product development and customer experience for the airline. Most recently he led a team of 20 product and project professionals whose job it was to imagine and implement the ‘next big thing’ to blow customers’ minds, challenge the status quo and push the limits to develop truly unique Virgin experiences through the best products in the industry.We are looking forward to Ben bringing his airline perspective to our team, helping Zii to continue the RAVE tradition of bringing unprecedented product innovations to our market, says Larry Girard, Executive VP & Chief Commercial Officer. Ben exclaimed I am absolutely thrilled to be joining the Zii team. RAVE is a fantastic product and the team at Zii have really thought about what makes airline operations difficult and frustrates passengers when it comes to Infight entertainment and have gone about removing these pain points to give passengers a world class IFE experience whilst reducing operational overheads. I’m looking forward to working with the team to continue to drive innovation in Passenger Experience. SITA, a specialist in air transport communications and IT solutions, announced the acquisition of private company MEXIA Interactive (“MEXIA”), a global provider of curb-to-gate passenger analytics for the air transport industry. The company, founded in 2011, is based in Winnipeg, Canada. The acquisition will enhance SITA’s existing airport operations and passenger flow management solutions. Customers will benefit from a comprehensive and predictive view of passenger flow information that will result in greater operational efficiencies and improved services. MEXIA’s technology identifies and predicts bottlenecks in various queues such as check-in, security and taxi lines while monitoring the amount of time passengers spend in airports. The company also helps airports find non-aeronautical revenue potential by providing shopper numbers, conversion rates, and trends through insights on passengers dwelling in the airport. MEXIA currently works with some of the largest and most influential airports around the world. Spafax, a leading provider of media, entertainment and content marketing services to the airline industry, announced that it has been selected by Air China to exclusively license and curate its Hollywood movie selection, as well as working together on all other video content. The parties formalized this partnership by signing the letter of intent at the inaugural China International Import Expo held in Shanghai. Spafax also announced the opening of a new office and team in Beijing that will serve in support of Air China. The WPP Group through its Tenthavenue and Kinetic subsidiaries have built up a strong multi-year working relationship with Air China, and have been invaluable in assisting Spafax to quickly establish a local presence. Following on from the SD Xperience launch at NBAA, Satcom Direct is taking its Gulfstream GIV on a circumnavigation of the globe to showcase the power of the new connectivity offering to the international business aviation community. A team of SD executives, including Chief Operating Officer Chris Moore, will spend just under ten days flying the aircraft into leading business aviation destinations to demonstrate the full SD Xperience in-situ, in-cabin.Long term SD customers will be invited to witness the power of SD Xperience first hand. The fully-synchronized, end-to-end connectivity solution combines the full suite of SD cabin and cockpit communications services, aircraft connectivity hardware, and flight operations software to deliver consistent connectivity around the world. Adding extra power to the portfolio is the newly introduced FlexExec broadband service, for which SD is the Master Distributor, delivered in partnership with Intelsat (NYSE: I) and Astronics AeroSat. Business aviation’s first dedicated connectivity service will join existing service providers in the SD portfolio to ensure SD customers benefit from customized, seamless, synchronized, consistent on-demand global connectivity. SD Xperience customers also benefit from SD ground infrastructure as the SD Data Center enables the application of existing compliance and security protocols for aircraft networks to mitigate cyber-attack and maintain data integrity. Gogo Business Aviation’s latest connectivity solution for light jets – Gogo AVANCE L3 – has been selected by Airshare for installation across its entire fleet of Embraer Phenom 100 aircraft. Airshare operates 11 Phenom 100 aircraft in its fleet, and is recognized as one of the most cost-effective fractional aircraft providers in private aviation for business and leisure travelers. The company also features Embraer Phenom 300s within its fleet, many of which are equipped with Gogo’s connectivity systems onboard. Airshare has also committed to installing AVANCE L5 on all new Phenom 300 aircraft it adds to the fleet in the future. An AI Lie Detector Is Going to Start Questioning Travelers in the EU Better learn to answer a machine! 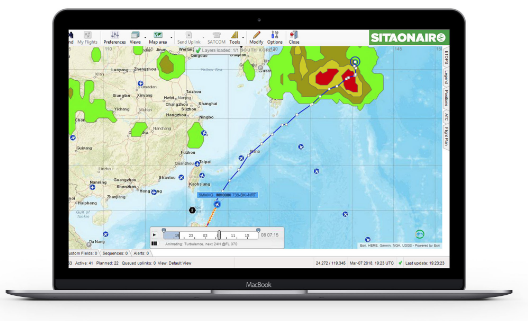 France | March 13, 2018–An industry-leading weather-alerting feature, empowering flight dispatchers to avoid or anticipate weather disruption throughout flights, has been launched as a new feature of SITAONAIR’s AIRCOM® FlightTracker, in partnership with DTN. Airline dispatchers using AIRCOM® FlightTracker will now be equipped to help aircraft avoid inclement weather –including aircraft-specific turbulence, icing, and thunderstorm forecasts – supporting the smoothest and safest possible flight experience for those onboard, and maximizing fuel efficiency. Already adopted by airlines operating more than 250,000 flights every month, SITAONAIR’s AIRCOM® FlightTracker is a ground-based software system delivering vital global real-time aircraft position alerting to airline operations teams. The application aggregates the best available inflight position data from a wealth of sources –including cutting-edge spaced-based ADS-B provided by FlightAware and Aireon using the Iridium NEXT satellite constellation – on a single aircraft position display. What’s more, no modifications to the aircraft are required to activate it. Interest in FlightTracker, and its enhanced, 100% global minute-by-minute update capabilities, is accelerating as the industry counts down to the ICAO GADSS 15-minute flight-tracking recommendation, coming into force in November 2018. The incorporation of DTN’s Flight Route Alerting data represents an important addition to the solution, making it indispensable to flight operators in their flight planning and flight following. Discover SITAONAIR’s AIRCOM® FlightTracker online at www.sitaonair.aero, speak to your local SITAONAIR contact, or submit an enquiry form. Air Transport IT Summit, Brussels | June 17, 2015– Singapore Airlines, Royal Brunei and Norwegian Air Shuttle are the latest carriers to sign-up for SITA OnAir’s AIRCOM® FlightTracker. The product uses existing equipment and re-purposes air traffic control data to provide consistent monitoring throughout the flight. The three airlines will deploy it on their entire fleet starting this month. Several airline customers and SITA OnAir have worked very closely together to define the functions and features of AIRCOM® FlightTracker, as well as validate and test the solution. 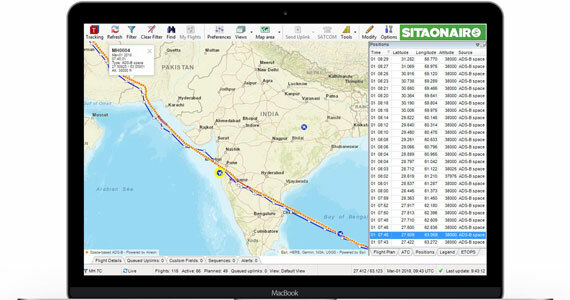 Singapore Airlines for instance has provided SITA OnAir with requirements for the next generation of AIRCOM® FlightTracker. “And of course, safety is paramount for a solution like this. FlightTracker’s automated alerting system allows us to manage our fleet of 100 aircraft and the additional 200 that will enter the fleet in the coming years safely and efficiently. A bonus feature is the unique way it integrates ATC data into our systems- it will give us valuable insight into our operations and how we can improve them,” said Chief Operating Officer Geir Steiro at Norwegian Air Shuttle. AIRCOM® FlightTracker is a ground-based, cost-effective software upgrade that uses existing equipment to allow airlines to follow aircraft positions and identify any unexpected deviations or gaps in position reports. It uses multiple sources of data so airlines can guarantee tracking intervals at 15 minutes or less for every flight. It was developed after ICAO and IATA called for global tracking technology that uses existing equipment and procedures as much as possible; SITA OnAir’s flight tracking solution meets these criteria. More airlines in Europe and the Middle East are currently assessing AIRCOM® FlightTracker with a view to making the necessary upgrade. SITA OnAir is expecting to make further customer announcements very soon.